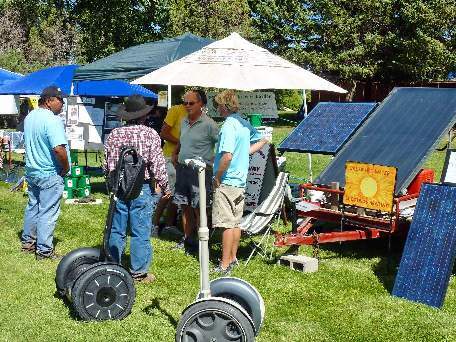 Empire Electric sponsored the Durango Discovery Museum´s Solar Roller at Verde Fest. 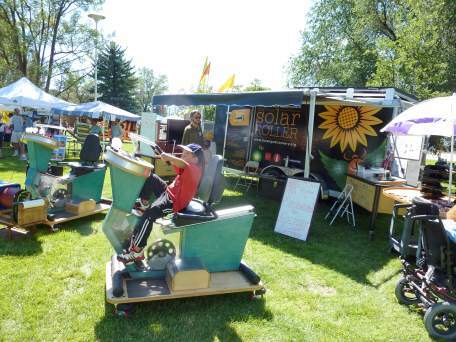 The Solar Roller is a mobile discovery center and power plant on wheels... a collection of "Interactive Energy Literacy Exhibits". 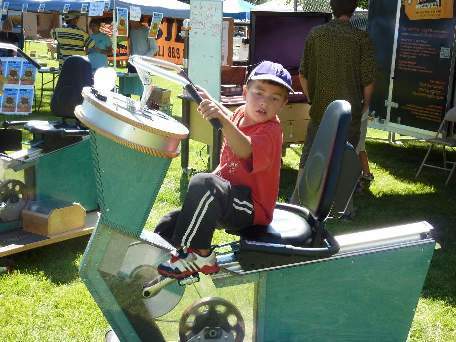 Kids and adults alike enjoyed this collection of sustainable power demonstrations. Joel Glanzberg of Regenesis Group, author and educator in the area of permaculture and ecological restoration, conducted a 1/2 day permaculture workshop with a focus on water harvesting on Friday morning, August 20th. It was a well attended hands-on workshop where swales were built and trees planted in them. Many in attendance said it was the best workshop they had ever attended. Joel also gave a free introductory talk on permaculture the Thursday evening prior to the workshop at the Mancos Public Library. Read more about Joel and Regenesis at www.regenesisgroup.com. Four Corners Segway and 3D Hydronic Contracting provided several working Segways. Here, Eric Walker of 3D Hydronic Contracting demonstrate and explain Dean Kamen's great electric personal transportation invention. 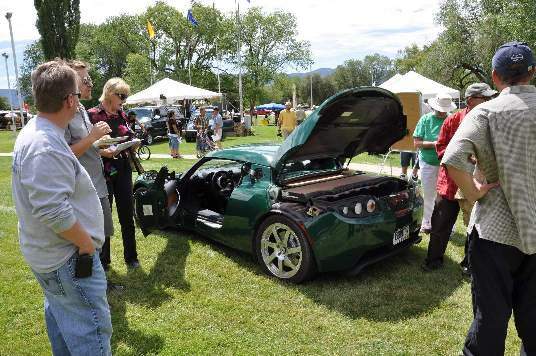 This Tesla all-electric sports car, designed and built by the new American company, Tesla, was kindly loaned to Verde Fest by Mr. Christoph Henkel, owner of the Dunton Hot Springs resort. With 288 peak horsepower and 295 lbs-ft of instant torque in a 2723lb carbon fiber Lotus designed chassis, the car goes from 0-60mph in 3.7 seconds. 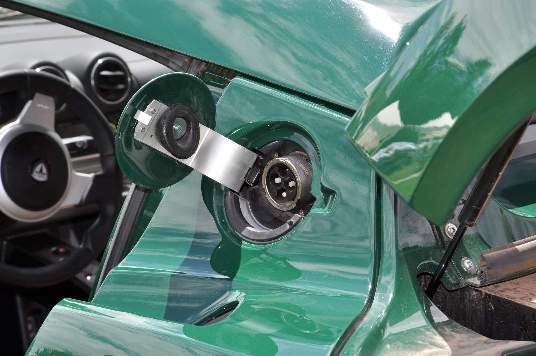 It has an EPA range of 245 miles and gasoline equivalent efficiency of 120 mpg. 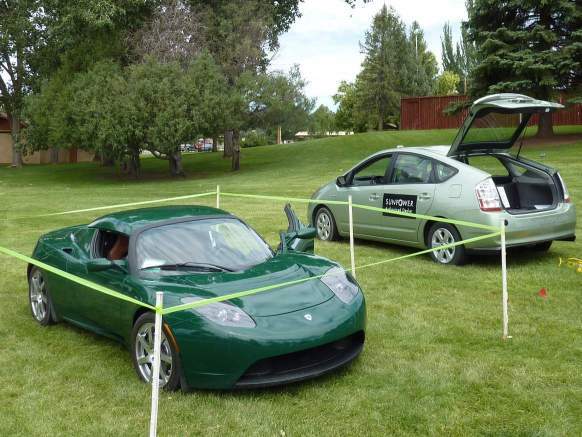 The plug-in Prius conversion was provided by Love Bug Motors (lovebugmotors.net)of Durango. Click here to see many more pictures from the 2010 Verde Fest. Let It Grow Nursery and Garden Mkt.